Who is THE NOWHERE MAN? He is spoken about only in whispers. He comes to those in greatest need of his protection. There is no enemy he cannot fight. He lives by his own code. He takes no prisoners. His name is Evan Smoak. Taken from a group home when he was young, Evan was raised and trained as an Orphan, an off-the-books black box program designed to create the perfect deniable intelligence asset: An assassin. 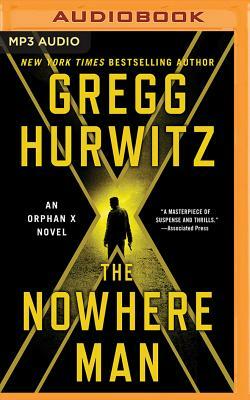 Evan was Orphan X--until he used everything he'd learned to disappear and reinvent himself as the Nowhere Man. But now, his new life has been interrupted by a surprise attack from an unlikely source. Captured, drugged, and spirited off to a remote location, Evan finds himself heavily guarded from everything he knows. His captors think they have him trapped and helpless in a virtual cage, but they do not know that they're dealing with one of the deadliest, most resourceful men on earth.